This warning label is required for investment products, but like the ones on cigarette packages, it’s rarely heeded. In fact, it’s quite the opposite. Past performance, or more specifically, good recent returns, are like a magnet for investors. They overwhelm the other factors that should go into a purchase decision such as quality of the people and firm, investment approach and fee. If the label is to be believed and the past doesn’t predict the future, why does performance carry so much weight? The main reason is that outstanding recent returns are hard to ignore. Fund managers who are riding high look smarter. Their words, body language and the suit they’re wearing oozes it. The fear of missing out is overwhelming. To fight FOMO, my partner, Salman Ahmed, and I select and monitor fund managers using an analytical framework called the 7 Ps. We look at People, Parent (organization and ownership), Philosophy, Process, Price, Performance (long term) and Passion. The last one refers to the fact that I prefer to hire geeks who live and breathe the portfolio rather than portfolio managers who are more media-friendly and have extensive marketing duties. It’s important to remember that active managers go through cycles just like the stock market. An excellent 10-year record will include three to six subpar years. This makes it tricky to use short-term returns as a decision criterion. The Ps approach, in my view, is a better predictor of future results, although it’s hardly foolproof. In the institutional arena, pension and foundation committees use similar criteria, although if recent performance isn’t near the top of the charts, the other 6 Ps don’t usually win the day. Managers almost never get hired when they’re going through the down part of their performance cycle. The pattern is the same when it comes to managers being fired. The decision is overwhelmingly based on recent returns. Managers who are performing well are rarely let go, even if a key person leaves, the firm gets sold and changes direction, or the decision-making process changes. But a poor five-year return is often enough for a committee to fire a manager and hire another who has done better over that period. But is five years long enough? Disappointingly, the answer is, it depends. A performance drought may feel like it’s gone on forever, but what really matters is how the manager or fund has performed over a full cycle — i.e. good and bad markets. Consider our current circumstance. We’re in a 10-year bull market that’s been fuelled by a few persistent themes. Interest rates have been low and/or declining. Debt markets have been strong. The U.S. stock market has consistently smoked the rest of the world. And growth stocks have had an extended period of superior performance compared to value stocks. It’s hard to assess how a manager or fund will do through all seasons when there hasn’t been a severe winter in a decade. In my past life when I was working with pension clients, the best relationship I ever had was with a committee that selected our firm when we were going through a tough period. When I voiced surprise that we’d won the mandate, I was told they really liked the firm, the people and the long-term returns. They viewed the recent lull as a great opportunity to get in. By the time the paperwork was completed, and money invested, our performance was on an upswing and a lasting relationship had been established. I’m not suggesting that you should avoid a manager or fund because the last few years have been good. Not at all. But you need to guard against the tendency to chase performance. Your odds of long-term success (all seasons) improve significantly if you have other good reasons for investing. Those other reasons will come in handy when the inevitable weak, ‘not-so-smart’ period hits. A number of high-profile tech start-ups are planning to go public this year. Among them are the ride-sharing firms Uber and Lyft (the latter is now trading on the NASDAQ), and digital pinboard creator Pinterest (which started trading today). Home-sharing pioneer Airbnb is also considering filing for an IPO (initial public offering), as is corporate messaging company Slack. These “unicorns” (the urban definition for a privately held start-up that has achieved a market value of more than $1 billion) have big names, big money and big ambitions behind them. They’re great companies, but the million-dollar question is whether or not they’ll be great investments (the two don’t always go hand in hand). With all the hype around these California kids (the above are all based in San Francisco), you may be wondering what our position is on them. First, some numbers you might find surprising. Two of the more high-profile names, Uber and Lyft, don’t make any profits. In fact, they’re currently losing millions of dollars. According to a New York Times article, Lyft lost over $900 million last year while Uber lost north of $800 million in the fourth quarter alone. These two companies are spending big money in the hope of one day making big money. But that day isn’t today. And indeed, it may be never. Pinterest also lost money last year, although to a lesser degree. In fact, most unicorns are in the red. The managers of our funds stay away from companies that haven’t proven they can consistently make money. This means you likely won’t see these businesses in your Steadyhand portfolio any time soon. As for Airbnb, it has turned a profit over the past two years. Like the others, though, it comes with a premium price tag, with its most recent valuation exceeding $30 billion (according to Forbes). Which brings us to another key attribute that our fund managers focus on — valuation. We focus on buying companies that trade at reasonable prices relative to their earnings, underlying assets and future growth prospects. It’s difficult to assign a price tag to tech start-ups because much of their value is based solely on their future growth. And if you get this wrong, look out below. Speculation and frenzy can also build quickly as a company’s IPO date nears, driving its price — and risk — higher. If most of these companies aren’t profitable, why are some investors drooling over them? Because they’re growing their revenues at a good clip. And the hope is that these fast-growing revenues will eventually lead to outsized profits. Google and Facebook were once in the same category, after all, and they now make billions of dollars. But it will be tougher for this new generation of start-ups to build wide moats around their businesses or reach monopolistic status. Governments and regulators are taking a tougher stance on companies seeking to dominate an industry. And let’s not forget, for every Google and Facebook, there’s a Snap and Blue Apron. Snap, the parent of messaging app Snapchat, went public in 2017 and now trades 30% below its IPO price and more than 75% below its high. Blue Apron, the meal prep delivery company, went public the same year and stumbled out of the gate. It currently trades almost 90% below its IPO price. Needless to say, neither company has lived up to its lofty expectations and investors have been burned. It’s also been a rough start for Lyft. The company went public at the end of March and was trading 20% below its IPO price at the time of writing. Our investment process doesn’t preclude us from investing in IPOs entirely. If a private company that we like has a history of profitability and its shares are being offered to the public at a reasonable price, our managers are free to participate in the initial public offering. * An example is Aritzia. The Vancouver-based fashion house went public in 2016 and our Small-Cap Fund participated in the IPO (we’ve since sold our shares at a profit). The great IPO show of 2019 will be interesting to watch. Millions of dollars will be made, and millions lost. 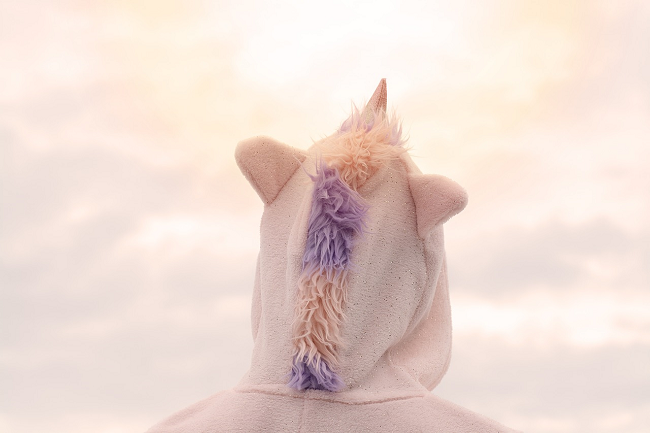 Given the uncertainty and risk associated with investing in these unicorns as they become public companies, we’ll be watching this fantasy from the sidelines. *Note: It can be difficult to receive a meaningful allotment of shares in an IPO, as investment bankers typically have a large list of clients they offer shares to.